In the dark before dawn, a Vietnamese boy joins his father on a fishing trip so that later, together, they can feed their family in the warm light at the dinner table. A delightfully clever tale told from two perspectives in which soon-to-be-7-year-old Nia wonders where her pet turtle, Alfie, went. This unforgettable chronicle traces a now-elderly Harriet Tubman’s life backward from suffragist to “general,’’ to Union spy, to Civil War nurse, to conductor on the Underground Railroad, and back to her childhood as Araminta. No eraser? No worries! Readers will delight in the spontaneous creations that take flight on the page every time the artist’s pen slips in this look at the creative process. There is so much swagger, so much that matters in this love song of a picture-book in which a young black boy is “ ‘tended to,’ treated like royalty” in the barbershop chair. By turns indignant and tender, but always conversational, Eggers urges a second look at the Statue of Liberty’s raised right heel (“This 150-foot woman is on the go!”) and what it tells us about our country’s immigrant history. Equal parts philosophical argument and tender lullaby, Jeffers’s newest creation ruminates on what it means to live on and care for this planet we call home. 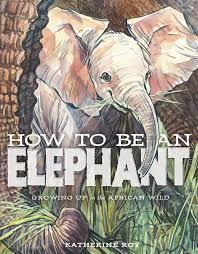 Admirers of the long-nosed pachyderm will delight in the complexity of this story of an infant elephant and the accompanying illustrations, designed to mirror the sweeping, crisscrossed lines of the elephant’s skin. 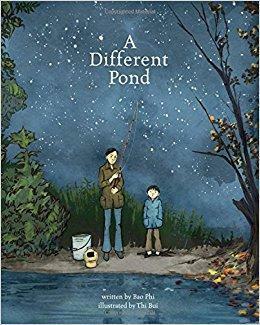 Like in her other books (“Wave,’’ “Shadow’’), Lee invites meditation on the boundaries between art and nature, the imagined and the real, and (this time) an icy skating pond and a blank page. 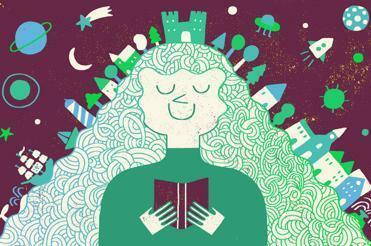 A better tribute to poets by poets would be hard to find, as the creators not only emulate the styles and visions of artists across centuries and continents but also encourage young readers to take inspiration from these rhythms and lines. 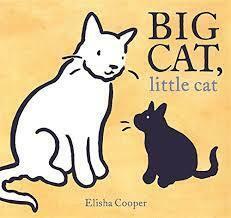 An undeniably cheeky board book in which a fussy, pink-faced baby wants only one thing: breast milk. 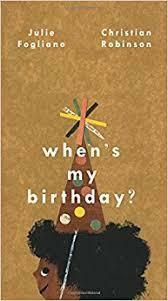 Robinson’s mixed-media illustrations add just the right touch of naivete to Foliano’s sprezzatura, perfectly capturing a child’s uninhibited anticipation of a birthday. Take a nighttime walk through what might be your neighborhood (Denos and Goodale are from Quincy and Somerville, respectively) and speculate on the lives lived on the other side of the windowpanes. This wordless (save a few desperate howls) picture book tells of a red-hooded heroine who rescues a wolf pup and is rescued by the pack in return. Reminiscent of Leslie Marmon Silko’s classic “Storyteller,’’ this impressive collection for mature middle-graders wields word and art, love and anger to narrate the diverse experiences of indigenous girls and women. 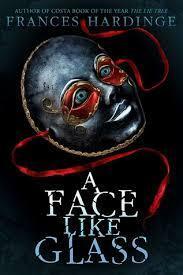 In this wildly inventive fantasy, a girl with no past threatens the established hierarchy of Caverna, an underground city built on lies and treachery, whose warring factions are in desperate need of the gift only she possesses — her facial expressions. Unlike he and his mother, Clayton and his grandfather, the bluesman Cool Papa Byrd, have always had “harmony,” so when the older man dies, Clayton must learn anew how to make music of his life. In this small but profound story, an elderly man called Harry recounts a perfect day in 1938 when he and his boyhood friends ran 13 miles, just because they could. Say’s brilliant homage to James Castle — a deaf, autistic, self-taught artist — skillfully explores the power of art to transform lives, even the most challenged. After his adored older brother is fatally shot during a drug deal, 12-year-old Lolly struggles to decide whether to seek revenge or build a completely new life for himself in this unflinching, powerful look at choices and their unexpected consequences. The sequel to “The War that Saved My Life’’ may be quieter, but it is just as wonderful as the first for when the horrors of World War II come to the English countryside, the courageous, resilient Ada, who fled London amid the German Blitz, will again see herself and her family through. 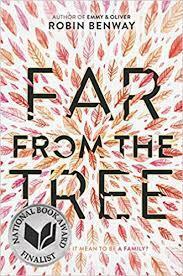 With trademark poignancy, Frost’s spare verse captures the rivalry and affection of two siblings, 10-year-old Claire and 13-year-old Abi, during a pivotal family summer at the lake. In this graphic novel, 11-year-old Impy tackles two quests at once: to be an honorable squire at the Renaissance Faire, where she and her family have lived all her life, and to survive middle school. 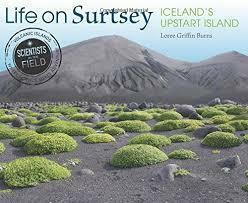 From the “Scientists in the Field’’ series comes a fascinating look at how life takes hold: Surtsey, an island off the coast of Iceland, emerged from the ocean after a volcanic eruption in 1963 and is now home to a handful of scientists who are studying the arrival of insects and other species. In Korean folklore-inspired comics, two siblings look for their missing grandmother but find a candy-gobbling hare, a tricksy nine-tailed fox, and a fierce tiger instead. Adam, an aspiring artist, must determine just how far he’ll go to please the vuvv, an advanced alien species who gradually take over the global economy, in this hilarious and provocative title from one of YA’s greatest creatives. A forbidden kiss and an impromptu adventure set 17-year-old Flora Banks on a journey to discover the true reason she lost her short-term memory years ago. Sixteen-year-old Aza has obsessive compulsive disorder, and when she agrees to help her best friend search for a missing billionaire she learns through love and loss what her limits are as well as her strengths. Marin left California for college in New York without telling her best friend, but now Mabel is coming to visit, and Marin needs to explain why she ran away and why she broke Mabel’s heart. Lockhart’s dark thriller centers on striver Jule West Williams, a contemporary Tom Ripley who’s determined to get the life she wants at any cost. Sarah Jac Crow and James Holt’s love and plans for the future are threatened by the brutal desert heat, a plantation owner’s cruelty, and the appearance of a romantic rival in this dystopian tale of redemption. 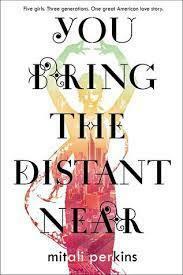 This epic story explores family, immigration, love, and identity through the lives of five women from the Das family, each of whom must decide for herself what it means to be Bengali and American. In this high-adrenaline prequel to Pullman’s brilliant “His Dark Materials” trilogy, 11-year-old Malcolm Polstead braves flood waters, outsmarts faeries and ghosts, and challenges the all-powerful Magisterium to protect a special baby named Lyra. Fifteen-year-old Will steps into an elevator with a gun tucked in his waistband and vengeance in his heart; can a succession of ghostly passengers change his mind before the elevator reaches the ground floor? 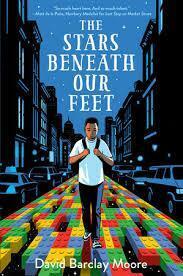 Thomas examines race, violence, and grief through the eyes of 16-year-old Starr Carter, who must make difficult and potentially life-changing decisions after she witnesses the shooting death of her best friend by a police officer during a traffic stop. 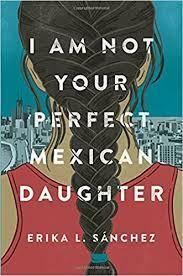 Despite the tragedy at the heart of Julia’s story (her older sister was recently killed in a bus accident), the Mexican-American teen’s narration of her search to discover whether her sister was really the person she seemed is as witty as it is heartfelt. Arturo lives quietly in an impoverished Mexican border town, but when he agrees to help a desperate friend who faces the wrath of the narcos, he becomes immersed in a merciless cartel-run world of drugs and violence. Ever since he was a child, librarian Lazlo Strange has dreamed about Weep, a magical city that vanished without a trace, and when he joins a band of warriors determined to find Weep, Lazlo’s dream becomes an adventure. Fabiola Toussaint and her mother immigrate from Haiti to Detroit looking for une belle vie, a good life, but when immigration authorities in New York detain her Manman, Fabiola must navigate the complexities and contradictions of American life on her own. 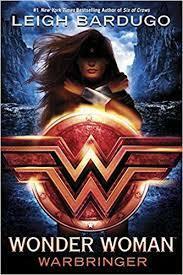 Bardugo, the best-selling author of the “Shadow and Bone” trilogy, mixes mythology and action movie thrills in this coming-of-age story about a girl named Diana, princess of the Amazons, who would become the hero known as Wonder Woman. Korean-American teen Desi Lee believes that you can accomplish anything with persistency and a plan, but when she pursues the new guy at school with her “K Drama Steps to True Love,” hilarity and unexpected results ensue. Meyer’s first graphic novel extends her “Lunar Chronicles” series and gives android Iko, who normally plays a sidekick role, her moment in the spotlight as she hunts down the leader of a pack of wolf-hybrid rebels. 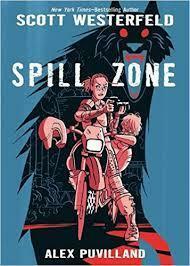 A wealthy art collector offers photographer Addison Merrick $1 million for pictures from deep inside the Spill Zone, a haunted and mysterious wasteland, and by accepting Addison breaks her own rules of survival.